Common Purpose is a Charity, based in Great Britain, which creates ‘Future Leaders’ of society. CP selects individuals and “trains” them to learn how society works, who pulls the “levers of power” and how CP “alumni” can use this knowledge to lead “Outside Authority” and pervert the demographic process. It is a marxist organisation that trains bureaucrats funded by local authorities on how to covertly infitrate the Frankfurt ethos (see 2012 – 025 & 2014 – 013) into UK institutions. It maintains its influence by ensuring that its alumni are given positions of unaccountable authority with gold plated salaries, pensions and perks so long as they stay ‘on message’. If ever they make a complete and even dangerous mess of their job they will not be sacked – only moved sideways to a similar job or even promoted. 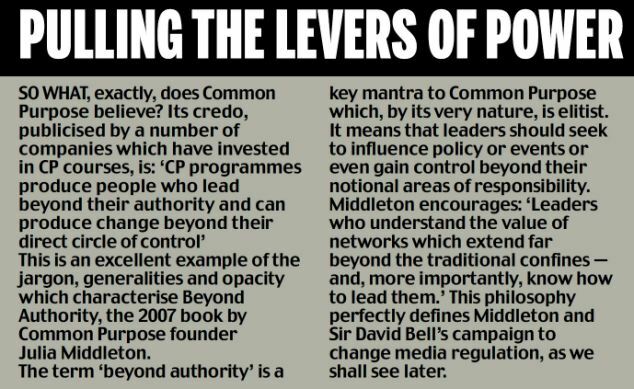 ** Sir David Bell is a founder member of Common Purpose and a major player in the team dedicated to a marxist style political control of the press and internet. One evening in January 2005 at the central London headquarters of Pearson Group — owner of the Financial Times — an extraordinary working dinner took place. Peston described ‘a debate on media standards — with two editors, another BBC executive, an investment banker, a Bank of England luminary, academics and a bishop, inter alia — (which) was more practical than most. We’d been summoned to dinner … by Julia Middleton, the unrecognised toiler for the rehabilitation of the concerned, engaged citizen. Bell is an ideological bedmate of the aforesaid Julia Middleton — another very busy bee who has been described as the best-connected woman you’ve never heard of. Much of the financing of the Media Standards Trust comes from a charity of which Bell is a trustee — a practice that, while legal, would seem to many to be inappropriate. Indeed, like some giant octopus, Common Purpose’s tentacles appear to reach into every cranny of the inner sanctums of Westminster, Whitehall and academia — bodies that often view Britain’s unruly, disruptive press with disdain and distrust. 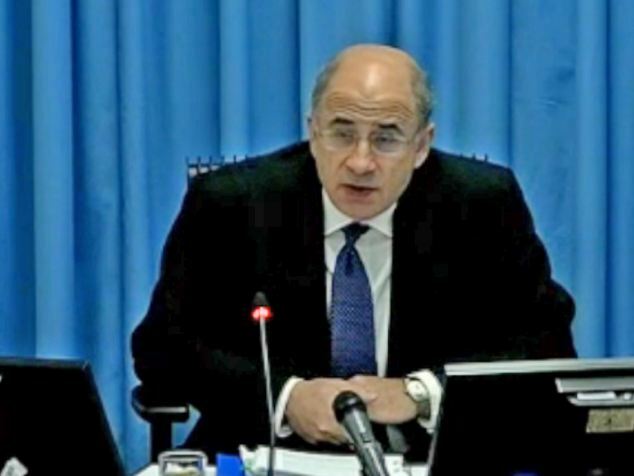 It should be stressed that there is absolutely no suggestion that Leveson — who did not choose his assessors — has any connection to Common Purpose nor that he isn’t a man of integrity who has conducted his inquiry with impartiality. Common Purpose almost certainly breached the Data Protection Act (which guards the confidentiality of digitally stored information), the very charge levelled by the Leveson Inquiry against virtually all newspapers. Common Purpose is connected to some of Britain’s most powerful lobby and PR groups, whose influence on British politics has provoked continuing controversy. Common Purpose linked figures have a significant influence on the appointments process in Whitehall. Until last year, Common Purpose’s David Bell sat on the committee that appointed Britain’s ‘Top 200’ civil servants. 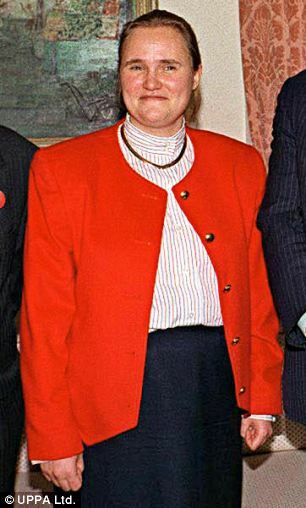 As we shall now show, Hacked Off, one of the lobby groups created by Sir David Bell (who stepped down as chairman of the Media Standards Trust only when he was appointed a Leveson assessor) and Julia Middleton’s network played a significant role in creating and shaping the Leveson Inquiry, which will cost the taxpayer almost £6 million. But it was the claim that the News of the World had deleted Milly’s phone messages that provoked Prime Minister David Cameron — who against the advice of many had persisted in retaining former News of the World editor Andy Coulson as his press spokesman — to set up an inquiry into the British press, led by the respected Lord Justice Leveson. No matter that the Guardian’s crucial allegation — that the News of the World had deleted voicemails from Milly’s phone which caused her parents to have had false hopes that she was alive — turned out almost certainly not to be true. That is the triumph of those who, like Bell, have striven for years towards restraining what they see as the ‘excessive power’ of the British press. Yet, far from representing the ‘general public’ and the ‘people’ — both terms which they frequently appropriate — those people who know best are drawn from a narrow and powerful section of the liberal Establishment that has come into increasing conflict with much of Britain’s newspaper industry. A clue can perhaps be found in a speech made to the LSE in 2004 by Geoff Mulgan, with whom Middleton had founded the New Labour think-tank Demos, described by the Pearson-owned Economist magazine — of which David Bell is still a non-executive director — as ‘Britain’s most influential think-tank’. ‘Problematic, however, is the lack of a strong ethic of searching for the truth in much of the media … For from Europe to migrants, there is a wide gap between what the public believes and the facts … For many [newspapers] it doesn’t much matter whether what they print is true. It seemed what really concerned Mulgan — described as ‘the ultimate New Labourite’ — was the conservative press’s antipathy to the EU, mass immigration and incompetent public services. There can be little doubt that he was referring to newspapers like The Sun, Express, Mail and Telegraph — papers read by the majority. It is they who were the most critical of New Labour’s policies on the EU and mass immigration. Common Purpose has claimed more than 35,000 people have ‘graduated’ from its courses in the UK and across the world. As well as firms in the private sector, government departments, local authorities, quangos, charities and police forces have all sent staff on Common Purpose’s leadership programmes. A week long ’20:20′ course in advanced leadership costs almost £5,000. The BBC has told the Mail that, in a five-year period, it spent more than £126,000 on Common Purpose courses. Another Common Purpose luminary is Chris Bryant MP — exposed by the press for posing in his underpants on internet dating sites. 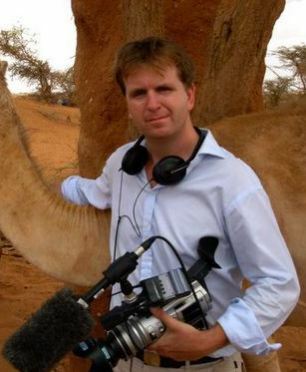 Bryant, who has led the charge against Rupert Murdoch in the Commons and was a Leveson witness, was Common Purpose’s London manager for two years. Ms Akers was also in charge of the Met’s North West protection team in the months leading up to the death of eight-year-old Victoria Climbie, who was tortured and murdered by her guardians. 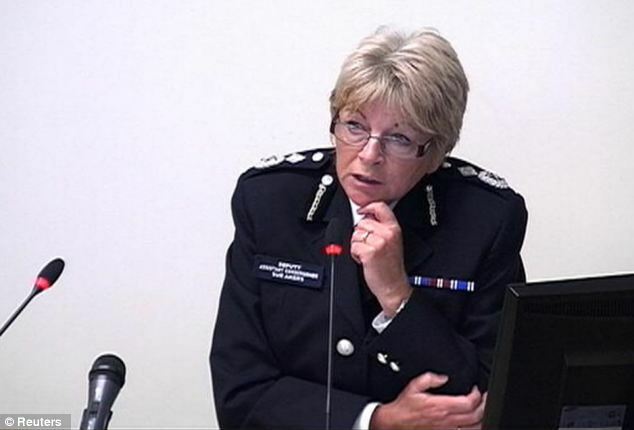 This episode, which again triggered a firestorm of media criticism and resulted in a public inquiry, led to her receiving ‘words of advice’ — the police equivalent of a reprimand. Neither episode figures prominently in her official profiles. 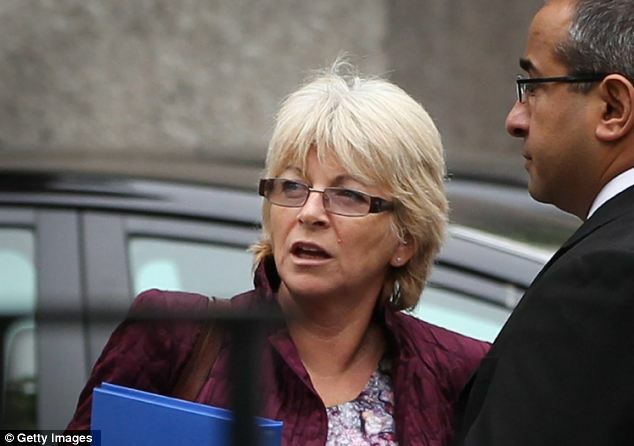 Indeed, none of this was mentioned when Ms Akers told the Leveson Inquiry that News International’s transgressions could not be defended as being in the public interest — a claim vigorously rebutted by News International’s lawyers, who asked how Ms Akers was qualified to define the public interest. But a number of credible parties have also sought to discover more about the charity’s presence within public bodies. 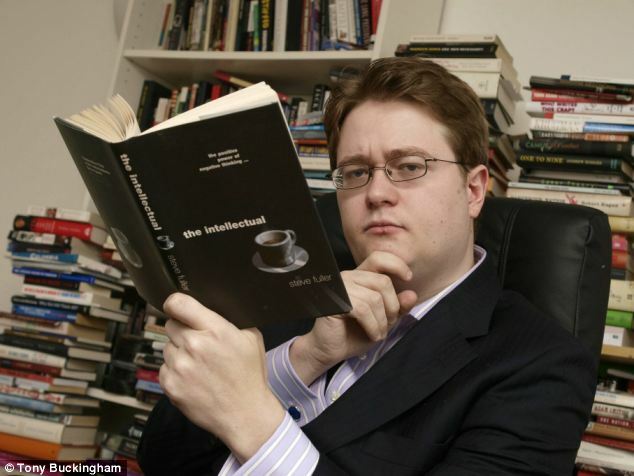 In 2007, for example, Tory MP Philip Davies — concerned at the then New Labour government’s apparent close links with the organisation — lodged written questions to a number of secretaries of state about how much their departments had spent on sending civil servants on Common Purpose courses. The answers, which weren’t widely publicised but can be found on official parliamentary records, showed a total spend over a handful of years of more than £1 million. Davies was told that the Department of Work and Pensions had spent almost £240,000 in five years, on courses which had ‘helped foster valuable partnerships in the local community which can be used to improve the service offered to our customers’. The Ministry of Defence had spent more than £300,000 over the same period. ‘Some there clearly wanted to network … I know people use Common Purpose to do deals, because one person on the course turned up at my office in Scotland Yard with someone else pitching for an IT contract. I said I didn’t do contracts. It certainly wasn’t an application through the normal system. ‘People do see it as a way of getting on. On promotion forms, police officers are giving membership of Common Purpose as evidence of their ability to “negotiate”. Or their competence. ‘It’s a new old boys’ network,’ he explains ‘but the Left’s version of it — and I don’t like secretive deal-making and “group think” of any kind. ‘What is interesting is that the same people appear in the same jobs, in different places, as if through a revolving door. They work for local authorities, leave, then come back as freelance “consultants” with huge, inflated fees. They are often mediocre and there is no evidence of how or why they were chosen. ‘People in employment interviews should ask: “What networks do you belong to?” If you apply now for a job in local government, you have to state your relationship to any local politicians. So why not also to Common Purpose? For the 2008 prize — the first to be awarded under David Bell’s MST’s auspices — the three judges were Annalena McAfee, novelist and formerly a journalist on the Financial Times and The Guardian, former BBC executive Sir John Tusa and Albert Scardino, Guardian journalist, MST trustee and husband of Marjorie Scardino, boss of the Labour-donating Pearson Group, friend of Common Purpose’s founder Julia Middleton and financial backer of the Media Standards Trust. Plagiarism, the use of old quotes as if they were new in interviews, alteration of Wikipedia biographies of enemies and ‘sock puppetry’ — the use of false identities to attack people on the internet — were also part of his modus operandi. The Bureau of Investigative Journalism was launched in 2010, funded by a £2 million grant from Psion computer millionaire and Labour donor David Potter and his David and Elaine Potter Foundation. 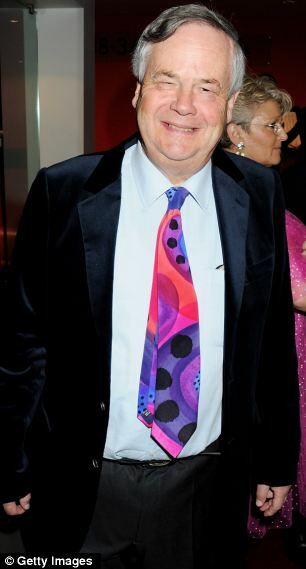 Sir David Bell, champion of what he regards as an ethical Press, became a trustee. The BIJ was run out of London’s City University, which three years earlier had awarded Sir David an honorary degree. X-OriginalArrivalTime: 01 Jan 2013 15:36:36.0643 (UTC) FILETIME=[C8FB3730:01CDE835]3rd Attempt!!! sorry for any duplication.Happy New Year and all that.Some of you may find the following information interesting:I have been on the case of Bishop Grosseteste University in Lincoln for many years now because it is the headquarters to Common Purpose, Lincolnshire, although if you do a search on their website for common purpose nothing comes up – funny that! I heard yesterday that the vice chancellor was recently honoured with an OBE so I did a search and sure enough I found the following:Professor Muriel Anita Robinson. Vice-Chancellor, Bishop Grosseteste University. For services to Higher Education. (Lincoln, Lincolnshire) http://www.guardian.co.uk/uk/2012/dec/30/new-year-honours-list-2013You can see her on this link http://www.bishopg.ac.uk/?_id=10148So why does the Queen honour people who are helping to regionalise and destroy britain or is this part of the new greater germanic Holy Roman Empire?This lady and key player was also well in with the unelected, unaccountable Lincolnshire Assembly that used to host CP meetings etc, sometimes at Lincolnshire County Council, paid for by the taxpayers of Lincolnshire. The ex chairman of this quango (that gets funding via the EU, region development agency etc and many other charities, that lead to DEMOS) was none other than Bishop John who will be familiar to those in Lincolnshire – Rt Reverend John Saxbee with whom I used to do battle with, even though the local rag used to highly edit my letters. Interestingly when I made a lot of FOI requests all the minutes were taken off of the Lincolnshire Assembly website, but luckily someone managed to download them all first 😉 – very very interesting they are too! This has clearly been the EU devolving power down to unelected assemblies, bypassing all politics/democracy (ha) etc and these are the real powers pulling the strings – all being paid for by us. I will expose this further when I get a minute or two. Whilst on, I have just read that Lincolnshire County Council due to cuts (that need not happen!!!!) are looking to impose 150% council tax on all properties that are left derelict for 2 years or greater. Those in the know will appreciate this is ultimately the UN’s Agenda 21’s land grab. Freshfields Bruckhaus Deringer – I suggest you get familiar with this name of corporate lawyers! Also the people on the board – one of whom is Konstantin Mettenheimer! He is the chairman of Common Puprpose in Germany, see how they have influence in so many vital areas? Read his short CV on this website…and note the Common Purpose thread! “He is Board Member of the Youth for Understanding Foundation and Chairman of Common Purpose Germany”! This is what we, as lay people and totally disunited and unorganised, are up against. Freshfields is a massive insider in International Law for the EU and USA too. My thanks to Kate, who found this worrying information. Once again Freshfields Bruckhaus Deringer retains its position at the top of the Global Elite table. One need only look at the number of its partners that are nominated to The International Who’s Who of Competition Lawyers and Economists to understand why Freshfields tops the list: an astonishing 40 lawyers, more than twice its nearest rival and seven more than last year. Freshfields’ percentage of Who’s Who Legal nominated partners has leapt from 61 per cent to 77 per cent, one of the highest in global elite. The firm has 13 offices globally, which include almost every major competition jurisdiction. It continues to grow, with counsels Hein Hobbelen, Till Steinvorth and Margaret Wang all promoted in the last year. Maria Trabucchi and Simon Priddis were nominated to this year’s “40 under 40”. Freshfields has been involved in many of the highest-profile matters of the past year. The merger control practice has been busy advising Xstrata in its US$90 billion tie-up with Glencore, Synthes in its US$21 billion acquisition by Johnson & Johnson, and EMI in the £1.2 billion sale of its recorded music business to rival Universal Music. Freshfields also represented stainless steel company Inoxum’s €2.7 billion acquisition by Outokumpu, cleared with conditions at Phase II, and continues to act for courier company UPS in its merger with TNT. Other Phase II deals include advising paper company UPM Kymmene in its purchase of rival Myllykoski and ED&F MAN’s takeover by Sudzücker. On the behavioural front, Freshfields is heavily involved in the prominent investigations of the e-books sector in the UK, US and EU, advising publishers Bertelsmann, Hachette and Pearson. The firm also successfully defended Chiquita Brands in EU cartel and multi-jurisdictional leniency proceedings, and advising Deutsche Bahn-owned Schenker in the global investigation of the freight forwarding sector. Freshfields continues to advise ThyssenKrupp and Emirates in follow-on damages actions regarding the elevator and air cargo cartel investigations. State aid work is also steady, with Freshfields representing ING bank in its successful EU General Court appeal against a ruling of illegal state aid. The firm is also advising the Greek government on several state aid matters. Partner and Who’s Who Legal nominee Axel Reidlinger leads the competition team at Freshfields Bruckhaus Deringer. He works alongside six senior associates. The team may be small, but it punches well above its weight. This year, Reidlinger and his team advised Sberbank of Russia on its acquisition of Volksbank International, the joint CEE banking operations of the Volksbanken group. It also advised Hutchison on its planned acquisition of rival mobile telecoms company Orange Austria. The transaction still requires merger control and regulatory approval from the European Commission and from Austria’s national authorities. The firm also advised rubber and plastic manufacturer Semperit on its production joint venture with an Asian manufacturer, and Styria Media Group and Moser Holding with respect to their proposed merger to bring the activities of their subsidiaries in the regional magazine business into a newly formed company. On the behavioural side, the group represented a major Austrian brewery, which was subject to an antitrust investigation by the country’s Federal Competition Authority. Other clients include Deutsche Bahn Group, Interseroh, Ringier, RWE and ThyssenKrupp Group. Freshfields Bruckhaus Deringer compliments its elite Brussels EU presence with a leading Belgian competition law practice. Practice co-chairs and Who’s Who Legal nominees Laurent Garzaniti and Thomas Janssens lead the work in this area. Along with a team of four associates, they advise on an impressive proportion of cases launched by the Belgium Competition Council and have acted in behavioural matters in sectors as diverse as retail, building, travel and energy. Recently, Garzaniti successfully represented food retailer Delhaize/Food Lion in the authority’s investigation of the chocolate and confectionery sector, and continues to act for the company in the authority’s investigation of the health care and home brands sectors. conduct in the Belgian travel sector. Belgian international companies, including Anheuser-Busch InBev and chemical giant Solvay, are regular clients. The team has advised Blue Sky – a consortium of some of the largest industrial and antitrust aspects of a joint investment with Electrabel and Brussels Airport Company – on various competition issues. Janssens describes the Belgian practice as “fully integrated with an international dimension”. Global firms, including PepsiCo, Carlson Wagonlit and RTL, frequently turn to the firm for antitrust advice when working in Belgium. Freshfields Bruckhaus Deringer has Brussels’ second elite practice. Led by partner David Broomhall, Freshfields’ competition team boasts a size and capability that few firms in the city can match. With 11 partners (all of whom are Who’s Who Legal nominees, including practice head John Davies who also works in the London office), one counsel and 37 associates, the Freshfields team dwarfs most of its rivals. The team remains busy, despite challenging times for European economies. Freshfields describes the abundance of work as a “flight to quality”: businesses operating in tough conditions look to work with the best firms to ensure they get optimum results. The firm’s recent case load is testament to this, not least the fact that in the past year the team has advised clients directly involved in five Phase II merger investigations by the European Commission. Freshfields Brussels has worked on many of the past year’s most complex and best-known merger control cases, both in the European Union and globally. Freshfields is advising EMI on the sale of its recorded music business to Universal – the Commission launched its in-depth investigation in March. The firm has also been selected to advise ED & F Man, Hutchison 3G, Synthes and UPM-Kymmene on their Phase II merger control cases. Other notable merger matters include advising Anheuser-Busch InBev (outside the US) of its acquisition of Mexico’s Grupo Modelo for US$20.1 billion and Xstrata on the global merger control aspects of its US$90 billion merger with Glencore. But it’s not all about mergers. Behavioural work is high on the agenda too, with Freshfields working for numerous high-profile clients in some of the most notable EU-level cartel matters. The firm advised Asahi Glass Company on its settlement with the European Commission following the DG Comp’s investigation of the cathode ray tubes (CRT) glass industry. The firm is advising Deutsche Bahn-owned Schenker in relation to the global investigation of the freight forwarding sector. Following applications to the General Court, Freshfields’ Brussels team also obtained revocation in full by the European Commission of fines of over €68 million imposed on Ciba (part of BASF) and more than €23 million imposed on Elementis in the European Commission’s heat stabilisers cartel decision. Solvay and ThyssenKrupp are also clients of Freshfields’ cartel practice. Freshfields Bruckhaus Deringer continues to impress under the leadership of Who’s Who Legal nominee Jérôme Philippe. Partner Maria Trabucchi is also highly thought of, and they are supported by two counsel and eight associates. The group has handled a series of high-profile multi-jurisdictional mergers over the last year, including advising Wolseley in its takeover by Saint-Gobain and representing EADS in its €960 million purchase of Vizada from private equity firm Apax Partners. The firm also acted for LVMH in its €4.3 billion acquisition of Bulgari. On the behavioural front, the firm is representing Hewlett-Packard in its abuse of dominance dispute with Oracle. After filing complaints with DG Comp and the US authorities over Oracle’s alleged exclusion of HP from the market for high-end corporate servers, HP brought its case to France. Freshfields also advised Laboratoires Pierre Fabre in a landmark litigation at the ECJ regarding the legality of refusing online sales of its products. Freshfields Bruckhaus Deringer’s renowned competition practice is the largest in Germany and boasts an unparalleled 62 antitrust lawyers divided among offices in Berlin, Cologne and Düsseldorf. Düsseldorf-based partner Martin Klusmann is global co-head of the firm’s antitrust, competition and trade practice group. He is just one of Freshfields’ 10 partners who practise in Germany, all of whom are Who’s Who Legal nominees. The team includes four counsel, five senior consultants, 13 senior associates and 30 associates. The team managed a mix of complex merger control and behavioural cases, and defends clients in numerous court proceedings. Last year, it advised multinational cable company Liberty Global in its €3.16 billion acquisition of rival Kabel Baden-Württemberg, which was cleared by the German authority with far-reaching commitments and is now under appeal. Liberty Global had retained Freshfields’ after the firm helped the company complete another €3.5 billion German cable company acquisition two years ago. Klusmann counselled ThyssenKrupp in the company’s €2.7 billion sale of its stainless steel business unit Inoxum to Outokumpu, a deal that faced heavy scrutiny by the European Commission. Partners Gerhard Wiedemann and Tobias Klose represented E.ON Ruhrgas in an EU appeal against a DG Comp decision alleging a market sharing agreement with Gaz de France. The company won a fine reduction of about €230 million, one of the largest ever. ThyssenKrupp also turned to Freshfields for advice in a complex investigation by the cartel office and the state prosecutor regarding collusion in the railway material sector. Part of the allegations were settled for €124 million, while partner Uta Itzen continues to work on the remaining case and on follow-on claims brought by customers such as Deutsche Bahn. Solvay also relies on Freshfields for advice in follow-on lawsuits. Freshfields Bruckhaus Deringer has the strongest competition practice of any international law firm in Italy aside from Cleary Gottlieb. Its head Tommaso Salonico and its second partner Gian Luca Zampa, both former authority officials, are Who’s Who Legal nominees. Freshfields is also the go-to firm for energy companies that require antitrust advice, many say. Competitors describe Salonico as an “energy guru” and “quasi-monopolist among energy clients”. He splits his time between regulatory and antitrust work. The Rome-based team is completed by 11 associates, including Roberto Amore, who is due to open an antitrust outpost in Milan. This year, Freshfields lost experienced senior associate Alessandro Greco to Eversheds. The group advised 2iGas and E.ON in an investigation of alleged bid rigging in the gas distribution market and defended utility A2A and energy company Iren from separate allegations of abuse of dominance and price fixing. The team represented Deutsche Bahn and its subsidiary Schenker in the freight forwarding cartel investigation and following appeal – which set an important precedent in the interpretation of Italy’s leniency policy. It advised Siemens in its successful appeal against the authority’s bid-rigging decision regarding magnetic resonance equipment. On the merger side, the group advised retailer Billa in a Phase II acquisition. Freshfields Bruckhaus Deringer is among the best firms in the world for competition and the firm’s Tokyo practice is no exception. The team includes special counsel and Who’s Who Legal nominee Akinori Uesugi, who is the former secretary general of the JFTC. He works alongside partners Takeshi Nakao and Kazuki Okada and five associates. Okada is also part of the firm’s litigation practice. Like most of Japan’s international firms, Freshfields’ antitrust team has a raft of major clients from around the world that keep it busy, but it can also count numerous high-profile domestic companies among its client base: Asahi Glass, JX Nippon Oil & Energy, Mitsui & Co and Mitsubishi Chemical to name a few. The team recently advised Mitsubishi Chemical on multi-jurisdictional merger control filings for a Korean joint venture with Posco Chemtech and Mitsubishi Corporation and Bristol-Myers Squibb on the antitrust aspects of its strategic alliance with Ono Pharmaceutical to co-develop and co-commercialise an anti-rheumatoid arthritis therapy in Japan. The team also handled a third-party complaint in relation to a potential unilateral conduct case in the technology industry. Who’s Who Legal nominees Winfred Knibbeler and Onno Brouwer lead the elite competition practice at Freshfields Bruckhaus Deringer’s Amsterdam office. The team also includes nine associates. Merger work has kept the team busy, not least representing Essent, the Netherlands’ largest utility, in its €9.3 billion acquisition by German rival RWE. Freshfields is also handling the acquisition of TNT Post by UPS. The firm’s cartel practice is equally busy. Freshfields is acting for Ceres in its appeal against fines imposed by the NMa on baking flour producers and is extensively involved in many of the cartel follow-on damage claim proceedings that are being brought in the Netherlands. The firm is also continuing to advise ABN Amro in relation to its continuing integration with Fortis Bank, and in state aid matters. Freshfields is also acting for Dutch insurance company ING in its appeal before the European Courts in state aid proceedings, after a European Commission decision was set aside by the EU General Court, because it had determined the size of the support in an incorrect manner. The European Commission will now have to make a new judgment. Who’s Who Legal nominee Alexander Viktorov is now the sole head of Freshfields Bruckhaus Deringer’s Moscow competition group, which he has co-led since 2005. Supporting Viktorov are an associate and a paralegal who work full-time on competition matters. The team has worked on several high-profile global deals over the past year or so, including advising UPS on its acquisition of TNT Express, acting for industrial manufacturer Terex on its bid for Demag Cranes, and advising power and automation company ABB in its merger filings before the FAS. Other regular clients include Barclays Bank, Solvay and Russian Railways. Freshfields Bruckhaus Deringer’s strong Spanish competition practice is led by partner Francisco Cantos, a nominee to The International Who’s Who of Competition Lawyers and Economists. He works together with partner Álvaro Iza, three senior associates and six associates in the Madrid and Barcelona offices, respectively. Last year, the firm hired associate Carolina Luna, previously at Cleary Gottlieb Steen & Hamilton in Brussels. One of the first international law firms to gain a strong foothold in the Spanish market, Freshfields has had a presence in some of the highest profile cases of the year. Cantos advised Hewlett-Packard in its abuse of dominance complaint against Oracle, an international case spanning across multiple jurisdictions. He also worked for telecoms company Abertis, which was investigated for alleged margin squeeze by the CNC and over state aid measures by the European Commission. Iza defended media group Mediapro against multiple abuse of dominance allegations regarding football broadcasting rights. He also advised another media company, Imagina, in the acquisition of control of TV channel La Sexta, and later in its merger with rival broadcaster Antena 3. The antitrust team advised ferry company Balearia, in two cartel investigations in the maritime transportation market. The company applied for leniency and obtained a fine reduction, and later also appealed against the decision at the Audiencia Nacional, the first instance appeals court. Freshfields also helped Linpac Group obtaining immunity from a €8.5 million fine in a fruit and vegetable package cartel. Freshfields Bruckhaus Deringer’s antitrust, competition and trade practice is one of the very best in Europe, if not the world. The team, which includes 16 partners, one consultant, eight senior associates and 28 associates, is led by Rod Carlton. No fewer than eight of the firm’s London partners are nominees to The International Who’s Who of Competition Lawyers and Economists, including competition litigation head, Jon Lawrence. Despite a continuing slowdown in merger activity, Freshfields has had a busy year – both in deal work and behavioural matters. Most notably, perhaps, the firm represented the London Stock Exchange as a third party on the antitrust and merger control issues arising from the ultimately blocked merger between Deutsche Börse and NYSE/Euronext, and on the UK Competition Commission’s inquiry into the proposed BATS Trading/Chi-X Europe merger. The Freshfields team also represented water company South Staffordshire on the Competition Commission reference following its acquisition of Cambridge Water. This was the first water to water merger in the UK provisionally cleared unconditionally by the commission in May 2012. The firm is advising Deloitte on the Competition Commission’s “Big Four” investigation of the UK auditing market and publisher Pearson on the investigations by the Office of Fair Trading (OFT) and the European Commission of horizontal and vertical issues around the use of agency agreements in the e-books sector. Finally, Freshfields is advising ABB in its defence of a £230 million claim by National Grid Electricity Transmission against the European participants in the gas insulated switchgear cartel. After helping put the final touches on United Airlines’ 2010 merger with rival Continental, the US practice at Freshfields Bruckhaus Deringer has again secured major work on headline cases in the US and globally. Led by Who’s Who Legal nominee Paul Yde, the team this year advised EMI Group in the sale of its recorded music business to a consortium that included Sony, and it has taken the lead for publisher Hachette Book Group in the DoJ’s investigation of the e-books industry. Other major clients include Hewlett-Packard, PepsiCo and its subsidiary, Frito-Lay. Common Purpose: Charity – or Agent for Change? PDF DOCUMENT: Common Purpose, a criminal organisation that abuses government posts for gain – Although it has 80,000 trainees in 36 cities, 30,000 graduate members and enormous power, Common Purpose (CP) is largely unknown to the general public. It recruits and trains its leaders to work “beyond authority,” to abuse their posts and serve Common Purpose, instead of their own departments, which they then undermine. Its members control the NHS, where it wastes �60 billion, much of it going into private pockets; and controls most of Britains 8,500 quangos which spend �167 billion annually, according to the Cabinet Office. Most of that is waste. Business rates and tax go up, services go down, the difference is spent on yet more CP quangos. YOU TUBE VIDEO: Common Purpose the Unseen Invasion – Brian Gerrish discovered the hidden machinations of Common Purpose in Plymouth England some time ago. CP influence is seen in force throughout the BBC, Local Councils, Police, Schools, National Health Service, and many government agencies that run towns in the UK. Leading toward ever closer union, it is a subversive way to set up new leaders of the coming Totalitarian Socialist State (The European Union). Bringing people in through ‘Self Improvement’ courses, the talented are picked and indoctrinated in CP ideology. Destined to break up traditional viewpoints it is a very effective and hidden tool of manipulators behind the scenes. Many CP trained ‘leaders’ are well aware of the true purpose of the organization, most are not but are serving the goal as a result of their retraining in the CP mode of thinking. Brainwashing, a cult, a subversive organization, are terms redily applied to the methods and organization of the group. GOOGLE VIDEO: Common Purpose Government Infiltrators – This presentation was given on 15th September 2007 at Leicester England. MEP Rogert Helmer came specially to be there and guest host the meeting. Edward … all � Spalton of the CIB (Campaign for an Independent Britain) gave a short introduction. The presentation was given by Brian Gerrish on his researches concering Common Purpose. Check out our other videos on Google Video… bringing out the suppressed information the controlled media will not air! Traitorous UK ‘Common Purpose’ Shills For NWO – Brian Gerrish discovered Common Purpose when he was involved with a group in Plymouth in the west of England helping people find jobs and one of their projects was repairing wooden boats. He said they had lots of public support and backing from the local authorities and everything was going fine. But then it suddenly changed and the council support was withdrawn. When they tried to continue alone, he said that within a short time key people were being threatened: ‘When we started to explore why we were being threatened we were absolutely staggered to find a very strange organisation called Common Purpose operating in the city. And we were absolutely amazed that there were so many people involved but they were not declaring themselves … ‘[Common Purpose] was operating throughout the structure of the city, in the city council, in the government offices, in the police, in the judiciary. Essentially we discovered what is effectively, at best, a quasi secret society which doesn’t declare itself to ordinary people.’ Further research has led Gerrish to establish that Common Purpose is recruiting and training leaders to be loyal to the objectives of the organisation and the European Union and preparing the governing structure for what it calls the ‘post-democratic society’ after nations are replaced by regions in the European Union. ‘They are learning to rule without regard to democracy, and will bring the EU police state home to every one of us’, Gerrish says. Common Purpose ‘graduates’ are increasingly everywhere, as you will see from the partial list at the end of this article. Just a training company? – The blogosphere carries a lot of (always) disapproving allusions to an organisation called ‘Common Purpose’. It seems to be simply gigantic. ‘Forty-five offices across the UK. Since 1989, more than 60,000 people have been involved in Common Purpose and over 17,000 leaders have completed one or more programmes.’ That’s from the website of the Said Business School (Oxford University) who seem to be right behind it..
Common Purpose International manufacturing Orwellian consent: Common Purpose � But To What End �? – It�s likely that you�ve never heard of an organisation called Common Purpose, unless that is you are a �leader� or aspire to be one. From what I have read so far people urgently need to be aware of what it is doing. It began in the UK in 1988, where it has some 45 offices, but has now taken its sun symbol logo into many countries as Common Purpose International. These include France, Germany, Ghana, Hungary, India, Ireland, Netherlands, South Africa, Spain, Sweden, Switzerland and Turkey. I understand it is also moving in on the United States. This is its stated goal: �Common Purpose aims to improve the way society works by expanding the vision, decision making ability and influence of all kinds of leaders. The organisation runs a variety of educational programmes for leaders of all ages, backgrounds and sectors, in order to provide them with the inspiration, information and opportunities they need to change the world.� From such bland descriptions come two questions immediately: A common purpose to what end? And �change the world� in what way exactly? Common Purpose takes over Bradford: How a controlling organisation, under the guise of a diversifying one can permeate a city’s infrastructure – It’s likely that you’ve never heard of an organisation called Common Purpose, unless that is you are a ‘leader’ or aspire to be one. I’d never heard of it myself until this week, but from what I have read so far people urgently need to be aware of what it is doing. Nourishing Obscurity: [common purpose] rhetoric of the quisling – You are the Chosen, the voice of the New Age, the Leader of the Future. The Rules are not for such as you… Though not directly concerning our North American and Antipodaean friends, this actually does concern them very much because they are very much part of the thrust for: Common Purpose. And what exactly is this common purpose? They state it themselves: ‘Leading beyond Authority’. As Parker-Joseph says: It began in the UK in 1988, where it has some 45 offices, but has now taken its sun symbol logo into many countries as Common Purpose International. Now unless you really are a bit left field [and I plead guilty], you wouldn’t have read the kook literature about illumined places in the leadership of the world, the ancient 1000 points of light and all that guff. I steer clear of it on my site because I don’t wish the lunacy I’m railing against to be subtly shifted onto me as if I myself am on about it. I shy away from that insanity, those things but these people are right into it and therefore it needs to be confronted. All my talk of cabals in the last year is only the surface issue. The real issue is the craziness coming out of Bavaria, Zurich, Paris and New York, not to mention London. Very easy to spot – diffuse light blues blending into diffuse yellows in their headers, sun symbols, meaningless drivel as taglines, e.g. securing the future today and other balderdash like that. Their pages are slick and businesslike and they use feelgood terminology about “bringing people together” and so on. Second Life, the U.N. and Common Purpose are examples. Browns Britain – EU 5th columnists now run government – Ever since watching this frightening video (Common Purpose EUs 5th Column in UK) I have been looking into the so-called charity that calls itself ‘Common Purpose’ and guess what…only ‘communists’ have a common purpose, the rest of us are expendable. (The vid is 2hrs long, but essential to give you background) Those within Government and Local Authorities have their ‘training’ paid for by the public purse, yet they are reluctant to admit even with Freedom of Information requests. It is a secret society, no-one will admit to being a member of Common Purpose, yet many senior politicians, senior police, Senior Armed Services members, and key position holders in Local Authorities are members of this secretive group. Brown’s Britain & Common Purpose – there’s more…. – Following on from my earlier article, more details are emerging through the blog networks of more Common Purpose involvement in Government. There has been a lot of interest in this site over the past day from Common Purpose from their network. If I receive any threats of any kind, be sure that I will publish them. The Plymouth and Devonport Column – A good online resource exposing Common Purpose. Common Purpose – Over the last few days I�ve had a few emails about Common Purpose but didn�t pay them much attention because I get bloody hundreds of emails. But today I got an email from someone who wouldn�t bring it up unless there was something in it so I hopped onto Google to see what I could find. WIKIPEDIA: Criticism of Common Purpose (COMMENTARY: Note how they link critics of Common Purpose with the somewhat racist British National Party – a.k.a. the BNP, giving us guilt by association (e.g. ‘Are you criticising Common Purpose?… you must be with that BNP lot!’). There are some sly dogs on wikipedia). MORE COMMON PURPOSE INFO: For those who are researching and investigating the activities of the sinister organisation Common Purpose, we have another operation offshoot of theirs which is in collaboration with the Deutsche Bank, called ‘CHANGE IT’. Here is the link. As you can see they are getting to youngsters between the age of 11 and 18… the young mind is always easier to condition! The ‘Silent Majority’ , never has their silence been more deafening! From politics to environmental issues, from the economy to immigration, the silence is truly frightening. Protest groups abound, purporting to speak for everyone yet rarely doing so as most are double-jointed and speaking from their own sphincters. Sarcasm aside, we have entered a worrying phase in this country. People would sooner use their mobile phones to take video footage of an elderly Asian gentleman getting verbally and physically abused by a rabid young woman than use it to call for police assistance. There was a time, not to long ago, when this vile individual would have been surrounded by outraged citizens and held until the police arrived. Unfortunately this brings us to another trait of modern Britain, the response time of the police. Not only that but those holding the perpetrator are as likely to get arrested as the victim when the police do eventually see fit to arrive upon the scene whilst the thug walks free. Now, we have the diabolical spectacle of mob rule coming before the rule of Law. In Balcombe the police have advised the drilling company, Cuadrilla, to scale back their drilling operation because they cannot guarantee the safety of the site. Another example of the Silent Majority allowing the loud-mouthed, ill-informed minority to walk all over them and blight the future of their children. A sensible debate is one thing, mob rule is an entirely different animal and one which we ‘The Majority’ should shout down. I must admit that I am confused about the Law in cases like this. I thought that there were rules in place concerning the size of a protest gathering. Isn’t this how pickets were outlawed by the Tories? I may be wrong and, please correct me if I am, but we simply cannot allow a motley crew of ‘Swampies’ and haute couture diva’s to get their own way because they shout louder and push harder. No surprise that Cameron and his weak entourage of Ministers will eventually side with the Greens and single issue extremists. Of course he will tell us mere mortals that a review of procedures is needed in order to run these exploration sites safely and efficiently. This of course will put the Shale Fracturing Industry back months, if not years. The ‘Silent Majority’ will be duped into believing that the ‘fat-cat’ bosses of the oil and gas industries have questions to answer on both environmental and safety issues and that until satisfactory answers are forthcoming, no more drilling will take place. As usual it will be a complete farce and whitewash. The coalition using their usual tactic of trying to please everyone except where it pleases them to do different. What of the police? The Chief Constable of Sussex, Martin Richards, certainly has questions to answer. If he isn’t up to the job he should be removed immediately so to the incumbent of the overpaid and completely nonsensical post of Police and Crime Commissioner. The majority of the population showed their utter contempt for this post by turning out in their 10’s all across the country to vote for these non-jobs. What was the turnout, about 14%? Another case of the ‘Silent Majority’ being totally ignored. It is this silent apathy which allows our politicians and their paymasters in the Bildberg Group, Common Purpose and the EU to sell this country down the river. Real issues are swept under the carpet because they, the men in suits, are safe in the knowledge that the majority of the people of Britain will suffer in silence. This apathy is not just a trait in this country, My friends in America tell the same story which is why the worst President in living memory has been allowed to live a lie for the past six years. Democracy works on a majority vote arrived at after serious discussion and debate. It also allows for peaceful protest from the minority should they feel aggrieved by the decision of the majority. What it does not allow for or should condone, is violent or intimidating protest because things have not gone the way of the protestors. All too often we see this happening and the authorities caving in to it. America in the Fifties had McCarthyism and the witch-hunt that ensued because of it. We cannot allow that sort of thing to happen in this country. We have had Leveson and the Hacked Off campaign which tried and succeeded in heavily influencing the outcome. What was behind this blatant attack on democracy in this country, who bankrolled Hacked Off, what is it that fosters the Silent Majority? In my opinion the root of all evil, the most disruptive force against democracy in Great Britain is Common Purpose. We need to bring this vile organisation to the fore and show it up what it really is. A power hungry organisation which trains its graduates to peck away at the very fabric of democracy from the inside. Common Purpose is a registered Charity but, upon investigation, you find that it is a lot more than that. It is a political organisation which is pro EU and its main aim is to destroy democracy in this country. Their methods are simple but effective. Create discontent with the Government and within the Government. Four boxes ticked and we, the British Public, are allowing it to go on because most of it is done in secret. It will be a long and dirty fight if we are to reverse the evils of CP. They have infiltrated everywhere, government, business, banking, law, the police. Every time you turn over a stone you will find Common Purpose. They are at the heart of Government, the insidious BBC, the Civil Service. In fact, wherever you look you will find a CP graduate. Their influence is everywhere and anyone who opposes them or their practices is labelled with an ‘ism’ or, called racist or, ‘Little Englander’. Sound familiar? It should, the United Kingdom Independence party is in the firing line at the moment and, probably, the only British political Party unafraid to stand up to this vile organisation against democracy. To give some idea of the tentacles of power I have inserted a graphic which goes some way to show the influence Common Purpose has over us and why we are all in danger of falling under its eveil spell. The disclosure comes days after the approval of a controversial cross-party charter introducing a system of Press regulation underpinned by statute and is likely to raise questions about why Mr Cameron did not register the link to a group closely associated with efforts to regulate the Press until last week. A Downing Street spokesman said the omission in the previous registers of ministers’ interests, published in February and December 2011, was due to an “administrative oversight”. However, Philip Davies, the Conservative MP for Shipley, said that, although Mr Cameron’s failure to declare the connection was likely to have been a simple mistake, the Prime Minister should not associate himself with Common Purpose. “I would always advise caution when it comes to being involved with any organisation that has close links with Common Purpose,” Mr Davies, a member of the Commons media select committee, said. “Common Purpose is a very secretive organisation which I think the Prime Minister would do well to be wary of. “They are trying to get their tentacles into every nook and cranny of the Establishment to pursue their Leftist, pro-European political agenda. 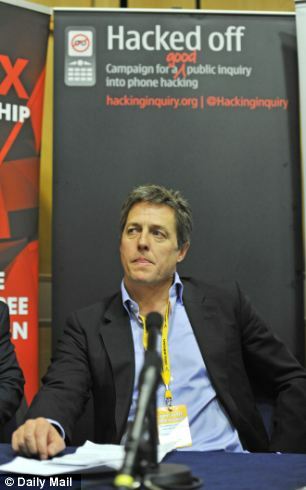 Common Purpose has attracted controversy over the links between it and the Hacked Off campaign, fronted by Steve Coogan and Hugh Grant, the actors, which has called for greater regulation of the press. In 2006, two key figures in Common Purpose – Julia Middleton, its founder and chief executive, and Sir David Bell, a trustee and former chairman – set up the Media Standards Trust. The two groups shared offices, with the trust claiming to campaign for higher standards in newspapers and broadcasting. In 2011, in the aftermath of disclosures that staff at the News of the World had hacked the telephone of Milly Dowler, the murdered schoolgirl from Surrey, the trust’s director, Martin Moore, helped to found Hacked Off. 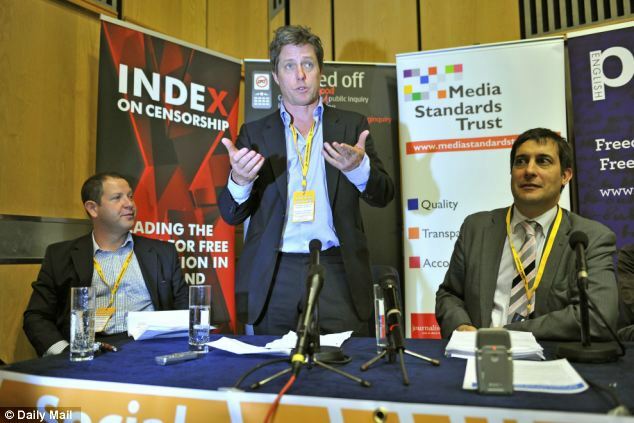 This new group campaigned vociferously for greater media controls during Lord Justice Leveson’s inquiry into press standards. Sir David was made one of the assessors to the Leveson panel. Hacked Off was present at secretive late-night talks with ministers in the Labour leader Ed Miliband’s office which brokered a deal to set up a system of regulation of the Press underpinned by statute. In July 2011, after Mr Cameron set up the inquiry, this newspaper highlighted Sir David’s chairmanship of Common Purpose, which had been reprimanded by the Information Commissioner in 2009 for six probable breaches of the Data Protection Act. It fell foul of data protection laws after trying to block campaigners, who believe it has a pro-European Union agenda, from investigating its finances using the Freedom of Information Act, sending a list of home addresses and telephone numbers to some of its clients in the public sector, and warning that the individuals were “vexatious”. Mr Moore later said it was “nonsense” to suggest that the MST’s agenda was driven by Miss Middleton or Common Purpose. “[The trust] is an independent, registered charity. Dishaa was launched by Mr Cameron in July 2010 on a trip to Bangalore, India, when he attended a conference at a venue owned by Tata, the Indian industrial conglomerate, of “young Indian leaders”. Others who attended the conference in southern India included Lord Patten of Barnes, who is also chairman of the BBC Trust. The BBC is among a series of public bodies to have paid Common Purpose to train its staff in leadership skills. The venture aims to “expand, enrich and energise relations” between the UK and India by developing leaders in both countries. The Common Purpose website says that it is working with the Foreign Office in India to help deliver the Dishaa initiative. A spokesman for Common Purpose, which insists it is independent and “always balanced”, said on Saturday night: “Common Purpose has no involvement in the campaign for greater regulation for the Press. The Ministerial Code is the official Whitehall rule book setting out the standards of behaviour expected of members of the Government. According to the code, ministers should “not normally” accept invitations to act as patrons of pressure groups or organisations dependent on Government funding. There is usually “less objection” to a minister associating with a charity, the Ministerial Code states. A Downing Street spokesman said: “The charity was launched in 2010 to build links between the UK and India. Leveson is just trying to stifle the future free & independent online media for his Common Purpose goals, a soviet-esque EU.